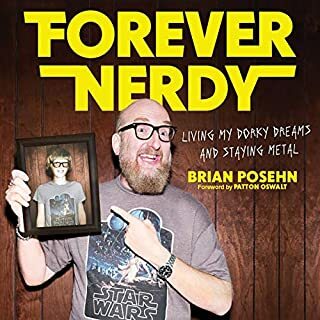 The first memoir by beloved comedian, actor, and writer Brian Posehn, hilariously detailing what it's like to grow up as and remain a nerd, with a foreword by Patton Oswalt. Audiobooks are convenient but it's rare that I find a book that truly benefits from the audiobook format. This one definitely does. It's like your hanging out doing bong hits and drinking beers with your pal Brian. If you grew up in the 70's/80's and were raised on Star Wars, Planet of the Apes, Evil Dead II and large doses of heavy metal then this book is for you.